A completely Western style treeless saddle. The EDIX® Equis is made of a super strong quality Buffalo leather, with a beautifully contrasting suède seat. The Equis western saddle is beautifully designed to meet all the wishes of the western or leisure rider. A wonderful treeless saddle for the rider who wants to enjoy long relaxed rides out or train in western pursuits. Combine with an EDIX® seatcover made of Australian Merino® sheepskin (optional extra) for even more comfortable ride! 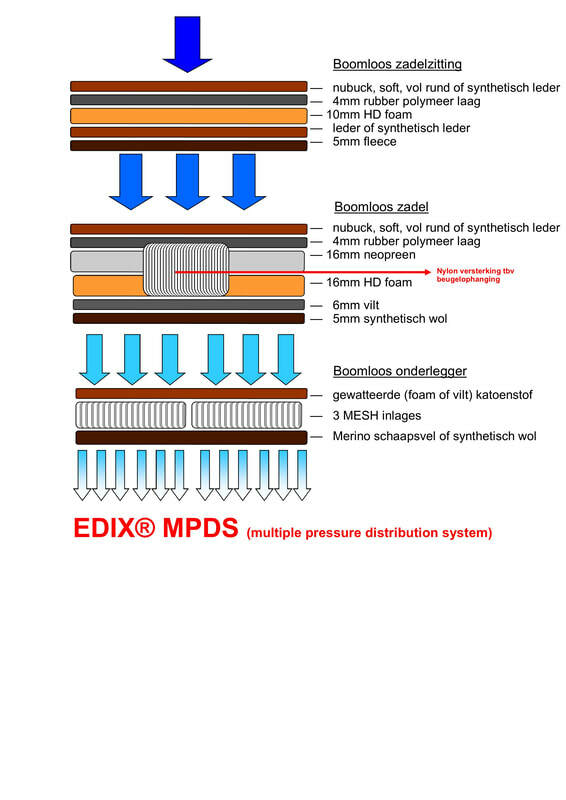 The EDIX® Equis is available in the colors natural / brown or brown and in sizes small, medium and large. 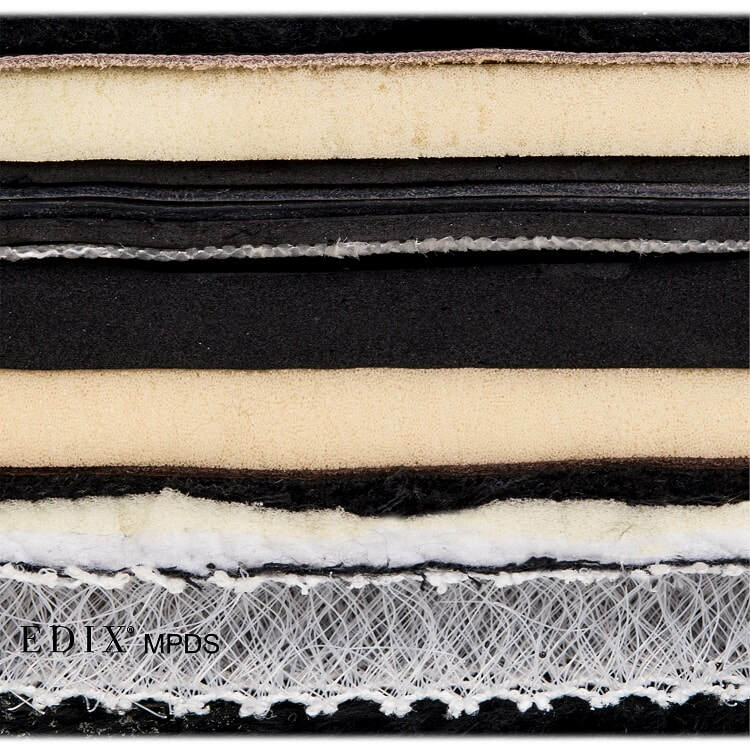 The EDIX® Equis, as a complete saddle combination, consists of a 2-part superstructure of strong Buffalo leather and a substructure of a contoured felt saddle pad, including 3 Mesh inlays. The nicely tooled leather fenders are adjustable with a blevin slide buckle and the leather covered stirrups complete the EDIX® Equis. The pommel is interchangeable and therefore adaptable for a high or low withers. The pommel is made of fiberglass and the cantle of the soft material high density foam. Both connect the left and right half of the saddle, together provide stability to the saddle and seating comfort for the rider. The complete EDIX® Equis treeless saddle set comes with a contoured saddle pad, including 3 mesh inserts. These pads offers a free spinal clearance and are provided with pockets that can be closed with velcro and to which several types of inlays can be inserted. The EDIX® Equis western saddle has the familiar "round skirt" cut-out and is therefore also ideal for horses with a relatively short back. The leather and construction of this saddle means that the saddle is also suitable for the heavier rider. The Equis can be combined with the EDIX® saddlebags and breastplate. The FRA® supergirth is optional and its 100% elasticity ensures a rock-solid fixation.